Kool Africa manufactures Modern African Themed clothing in South Africa. We are renowned for producing quality clothing with the Koolest designs in Southern Africa. We have a wide range of t-shirts for all ages. We offer five size ranges so that everyone would be able to find a Kool Africa t-shirt that’s a perfect fit for themselves. All of our t-shirts are produced using 100% soft combed cotton- an incredibly light, eco-friendly, and long-lasting material. You will absolutely love the comfort level of our casual fit t-shirts. The printing on our shirts is done with water-based ink to improve longevity. We supply clothing on a wholesale basis to game lodges, lodges, curio shops, and clothing retailers in Southern Africa. Our supply base has been rapidly growing across the continent, particularly in Namibia and Botswana. Being a local manufacturer, our inventory is always healthy, we produce stock to your requirements and also offer customisation. We promise prompt delivery on all orders. We are famed for producing African swag t-shirts. All our clothing features unique and eye catching designs made by those with an eye for current market trends and demand. On top of that, our shirts can be customized according to your requirements, as long as they meet the minimum order requirement. 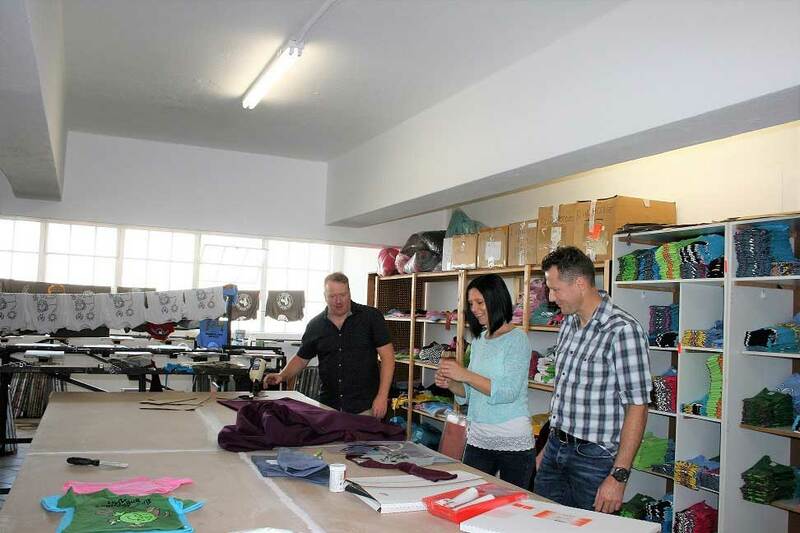 We offer additional wording onto our garments such as a ‘Namibia’ or ‘Botswana’ to help promote your region and add sentimental value to those buying the clothing for themselves or others. We have also recently made a complete new design for a lodge group that will now have a personal and unique design that no one else will. Kool Africa is a wholesaler, and as such we accept only bulk orders. We primarily supply to trade firms looking to sell on a retail basis. Whether you are looking to stock garments from Baby to Mom and Dad and everything in between, we can give you the Kool edge you need and want!